Woodhead Group, based in Nottinghamshire, has worked on a number of schemes for Nottingham City Homes and Nottingham City Council in recent years, has been awarded the contract, which includes 20 family homes and a retail unit on Knights Close in Top Valley. The second development of 13 family homes on Aldgate Close in Bulwell, will be built on the derelict site of a former care home. The two, three and four bedroom family homes will be built to the national space standards and offer warm, secure and efficient modern homes, and will go to Nottingham families on the Council’s waiting list. Planning permission for both schemes was approved last year. Work on the Knights Close site is expected to begin in April 2019. 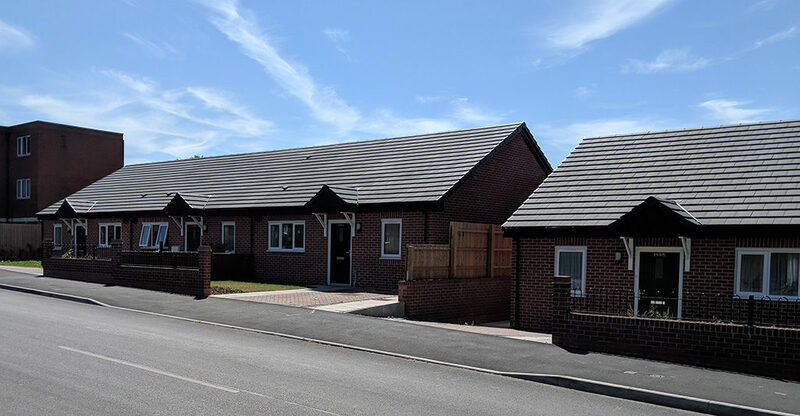 As well as new council homes, this development will also include the creation of a retail unit, as well as a Parsonage, commissioned and paid for by the local church, but delivered by Woodhead as part of the overall scheme. Demolition work in Bulwell is also expected to begin in February 2019, with work on the new building planned for the Spring. Nick Murphy, Chief Executive for Nottingham City Homes, said: “It is a big year for NCH as we mark 100 years of social housing and the first Aldgate Close new build property will be completed during this celebration year. Cllr Linda Woodings, Portfolio Holder for Planning and Housing at Nottingham City Council, said: “Working with Nottingham City Homes and partners, we’re transforming Nottingham’s neighbourhoods and Building a Better Nottingham by regenerating sites which are no longer fit for purpose and replacing them with new, warm, safe and quality homes. “Together we’re developing a mix of properties across the whole city, from much-needed family housing to bungalows and independent living schemes, which meet the needs of local people in Nottingham”. So far the Building a Better Nottingham scheme has built more than 500 new council homes for Nottingham people, and is expected to work on nearly 100 more this year. Tom Woodhead, Director of the Woodhead Group, said: “We’re delighted to have been selected to again work with Nottingham City Homes and Nottingham City Council, to deliver a selection of new homes for the city. “We see the wider benefits a programme like this has to offer. It’s about the community, working with local residents to improve the surrounding environment; it’s about the local jobs and training, and the local supply-chain businesses who will also benefit.